This is so pretty! You've done a wonderful job with how you have used the Lunagirl image. 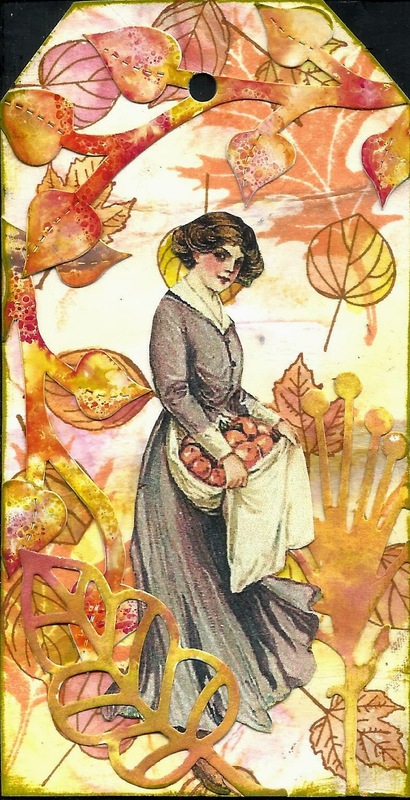 I like how you removed her background from the card and added that wonderful swirl of leaves. A perfect first entry for the Autumn challenge! love the image, and tag. WD. thanks for joining us on Lunagirl Moonbeams! Do you have new dies?? Your tag turned out so beautiful. Love it! 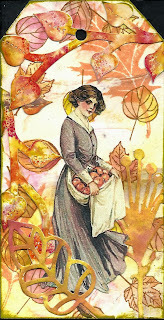 This is so lovely and full of Autumn spirit! Thank you for joining us for the Lunagirl Moonbeam challenge.